I don’t know about you but I have trouble at time giving students feedback on papers. I was reading an article by John Orlando at Faculty Focus that addressed this issue and I have found useful. 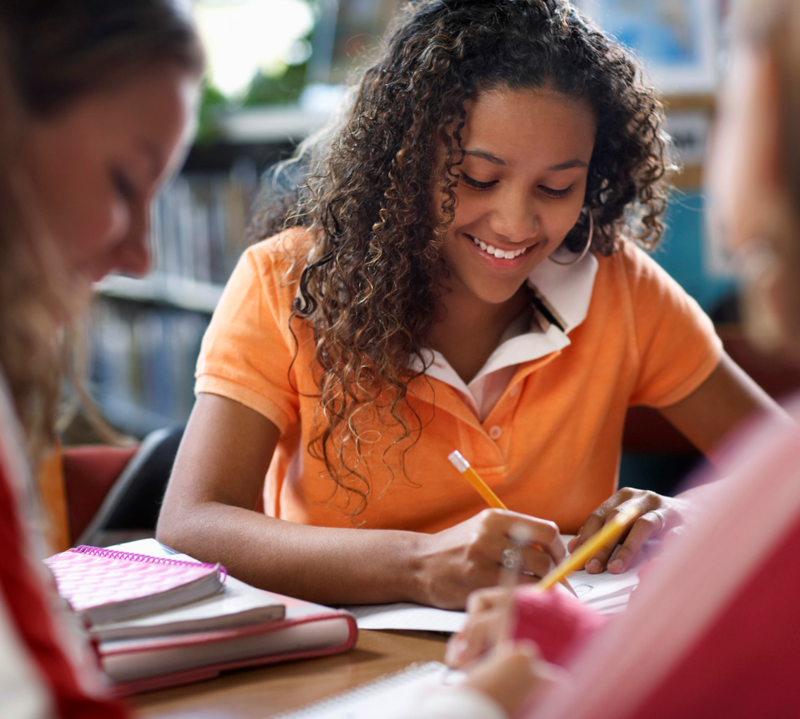 "Feedback is important and studies have shown that feedback on student work is among the biggest influences on student achievement," Orlando writes. Yet faculty sometimes give little thought to how they provide feedback to their students. Unfortunately, brief comments provide little to no help to the student. There is nothing in many short statement to help the student understand exactly what they did wrong, how to correct it, or what instructors really want, in order to learn from the error and not make the same mistake again. Faculty may think that students will look up the solution on their own but this is not likely. It is better to give guidance right then. 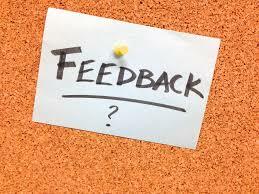 Students need more detailed feedback in order for it to have any value. In short, they need to know what is wrong, why it is wrong, and how to correct it. “They’re” is a conjunction of “they” and “are,” and so only use it when it can be replaced with “they are.” “Their” is a possessive pronoun, which means that it tells you that something belongs to something or someone else. Here is a good source for more information on the proper uses of the different forms of “there”: www.theretheyretheir.com." Now you say, I don’t have time to write these paragraphs of information on multiple papers. So here are a couple of ways, when you are grading in Word, to make this quicker. A Comment Toolbox is a depository of feedback on common problems. You likely see repeated mistakes on students’ work, and you give similar feedback on those mistakes. You can save your comments to a depository that can be copied and pasted into student work. For example the above feedback on the differences between “there, their, they’re” can be in your Comment Toolbox to be used the next time you see this problem. Comment Toolbox has two parts: the statements that are copied into students’ work and organization for finding it. One way to create a Comment Toolbox is using the table of contents function within a Word document. This document allows content to be organized by headings, and the table of contents function is used to search. To build the toolbox, decide on the level of organization that meets your needs. Each top level will be designated as “Heading 1” and under each top level additional headings would be designated as “Heading 2.” For example, say, your first level would be “Grammar,” under that level you can list all your grammar statements. For each separate statement, such as the “their” statement above, you would type a title that means something to you such as “Misuse of Their,” designate this title as Level 2, then on the next line you would type the exact statement text. To create a Table of Contents at the beginning of the document, place your cursor at the beginning of the document and tell the program to create a Table of Contents. All the headings you created are now organized at the front, and to get to any particular statement you click on the page number and you will be taken to the location in the document associated with it. Now you can copy and paste the feedback. Creating a table of contents can be a little bit confusing as different versions of Word have slightly different methods for creating a Table of Contents. You can also use the Word feature called “Auto Text.” This function allows you to save blocks of frequently used text into Word itself and let you easily insert it into documents.To use this, first write the comment into a student’s work, and then highlight it and save it to the Auto Text in Word. When you want to use it again, simply start typing the first word of the text and you will see a small pop-up letting you know you can press Enter to insert the Auto Text entry. That is all there is to it. Auto Text can be faster to use than the separate Comment Toolbox, as you don’t have to move between documents, but it also has drawbacks. There is very little organization to the Auto Text gallery, which can make it hard to find a particular comment, especially when there are a lot of comments. Also, since the comments are saved in the actual Word software, they are not available on any other computer. No matter which method you use, these techniques not only saves time, but also allows for far better feedback than is likely when the feedback is being developed from scratch each time. The Teaching Toolbox will grow over time as you encounter new resources to point to or have new comments to add. The goal is to give students more and better feedback as you preserve and add to your best feedback. I ran across some discussion activities that are good for online and in-class. Structure is necessary if discussion is to realize its potential. If the discussion is too open-ended it is more easily sidetracked. There may be some value of an occasional unstructured exchange, but if students are still learning what academic discourse entails, a structure can keep the discussion more focused. The below list of activities is pulled from an article by Maryellen Weimer “Structuring Discussions: Online and Face-to-Face,” Faculty Focus, Sep 25, 2013. I've edited and added some comments. Assign a reading in which an expert disagrees with the conventional wisdom. Have students defend or disagree with the expert's position. Relatively short readings, such as a paragraph or two works best. Share contrasting quotations and have students respond—agreeing, disagreeing, or finding some place in the middle. Have the students identify the most common response and pick out what is the strongest argument for or against a position? Set up a scenario, assign individuals or groups a role and have them respond to the scenario from that position. Ask other students to listen and then respond to the discussion. Which group made the best case for its position? What are some issues that could come up? Form three groups. Two groups debate and the third group mediates an issue. The mediators work to find common ground and propose compromises. The purpose of this is to get students used to discussing. They may be uncomfortable disagreeing with each other so begin with a controversial but low-stakes proposition. "Campus parking lots should be open to everyone with a valid parking permit." 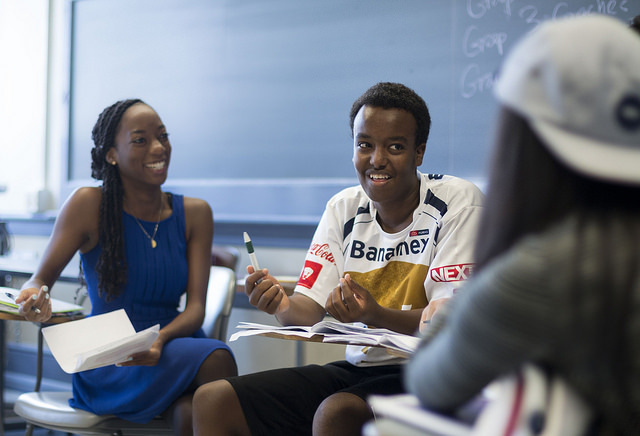 Let students moderate discussions. Clarify what moderators do and then start them out moderating a short discussion. Provide formative feedback and don’t grade until they have experience. Use discussions to "bookend" class subjects. Such as initial exploration of a topic in the first discussion and an analytical discussion at the end. Use "buzz groups" where just a few students chat about a topic (in a private chat online or in person in class) and then have that group report conclusions to the rest of the class. Have the class critique each group's conclusion. Invite a guest speaker to host a discussion, preferably someone who takes a controversial approach to the topic. Students may be reluctant to contradict a guest so clear clarification on expectations will need to be made to the students as well as the guest. Have you ever had trouble with coming up with good case studies? Case studies can be a good learning tool but they need to be directly applicable for the subject and key points that need to be made. Below is one technique to get students more involved in the subject and to get case studies. Submit a case study of a problem. It is best if the issue/circumstance were something that you have seen or experienced. If you can’t come up with an actual situation then create a good case study around some issue. Either way it does not make a difference who was right or wrong, if anyone was, we are here to learn, not to judge. Instructor will select some of the submissions to be used in class. Give as long a description as necessary to understand the problem, circumstances, and the players. Everyone needs to know that what we talk about here stays here but we can’t prevent someone from sharing inappropriately. So be careful in writing your case study that you don’t specifically identify the place, company or any actual names. I have provided a sample case study on the subject of ethics and you will note that I don’t identify the specific organization or names. This is the first assignment because I use these case studies throughout the course. After receiving I review them for meeting the requirements of the assignment (this is graded) and then group them by subject. Then I select a few appropriate ones, remove names, edit as necessary and use them during the course. I make sure the students know that one of their fellow students submitted and that the issue is very real. At the end of the discussion I ask the individual who wrote the case study to tell us what they did or how it turned out. Some issues can be sensitive so I always ask this individual before class if it will be OK to call on them, if not I will just summarize. Another way you could use these case studies is to divide class into groups and for each case study have one group come up with questions/issues that this raises and then have a second group come up with recommendations to address the issue and all of this can be discussed by the class. At the end you could have the person experiencing the issue to address what they did or what they think about the recommendations. I have used this technique both in face-to-face and online classes and it has worked well. 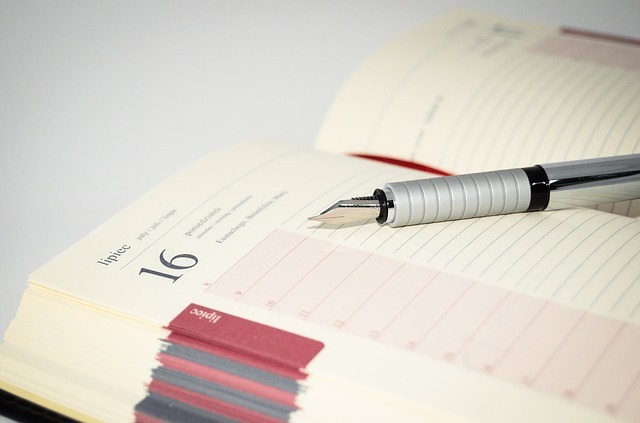 You can use Google Calendar to allow students to make appointments with you. One problem with it is that you can’t sufficiently customize it to varying day-to-day schedules. There is a program that does allow you a great deal of customization. It is called “You Can Book Me” https://gb.youcanbook.me/ and it runs through Google Calendar. The free version provides everything I need. An example of how I use it is for academic advising. I set up the program for the weeks I do academic advising and enter start, end times, lunch times, how long I want appointments to last, etc. Then I go into Google Calendar and enter class meeting times and other meetings to block these times out from availability. Through myGate I email all my advisees giving them a brief explanation of the process to make an advising appointment and the simple URL. For those individuals who don’t believe in reading their email, I also put an announcement on my door (where the sign-up sheet used to be) explaining the process and listing the URL. When a student goes to the URL they see a calendar for the days and times that are available. Times you blocked out or appointment times already taken are blocked out. The student selects an available time, enters some basic information and that is it. The student’s name is entered in your calendar and you receive an email indicating the appointment has been made. If the student cancels the appointment you are informed by email and the time is made available again. There is some initial setup you have to do in both Google Calendar and You Can Book Me. The easiest way to do this is to go to: http://commons.trincoll.edu/jackdougherty/how-to/customize-youcanbookme/ This provides a step-by-step procedure for setting everything up.